Pakistan is ranked the second-last country in the Global Gender Gap 2017. This means the country is labeled second worst in the world for economic participation and opportunities for women in the workforce, and the lowest in South Asia. Some women from across various spectrums share their opinions on what it means to be in the workforce and the challenges they face. Niha Akber is one of them. The 26-year-old has recently become the head pastry chef at a French-inspired café called Marcel’s, which is opening its doors to Karachi in April 2018. Walking with an air of quiet confidence during a tour of the kitchen inside her home, and eagerly waiting for the final touches of the highly-anticipated restaurant to be completed, she proudly wears her double-breasted white chef’s jacket while expertly chopping some vegetables. It almost seems like a fairytale story for Niha, who studied courses such as pastry and molecular gastronomy abroad at elite culinary schools and also stars on the cooking show Chef’s Fusion on the popular network Masala TV and is a judge on Next Masala Star. Sitting at a café near her home in Karachi after her kitchen tour, she tucks a strand of well-kept brown hair behind her ear and politely asks the waiter what ingredients are inside the breakfast granola before placing her order. 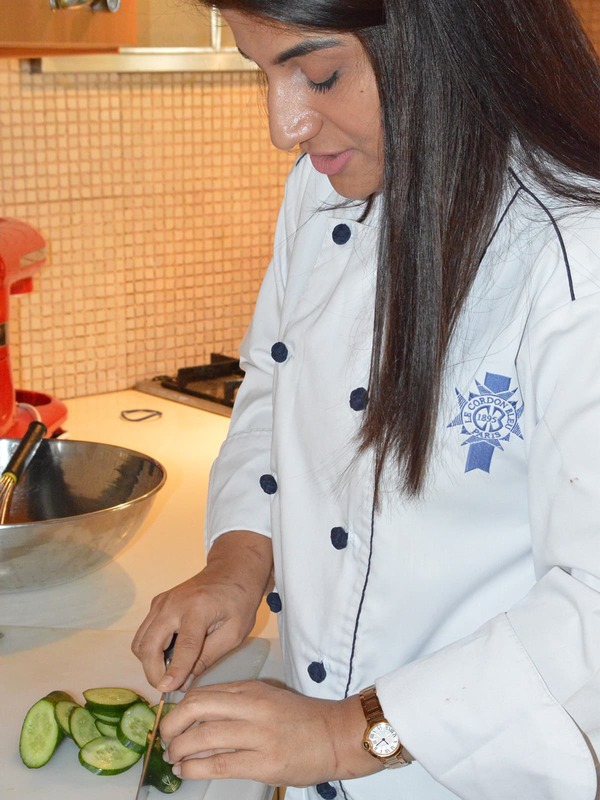 Even though Niha’s extended family did not support her aspirations initially – she was the first girl in the family to study abroad – her father understood her ambitions and allowed her to begin studying at the Malaysian campus of the prestigious French culinary school Le Cordon Bleu. After receiving the best student award during her studies, Niha embarked on her first job as a pastry chef in Dubai. Women constitute roughly half of Pakistan’s 207 million people. However, the Pakistan Economic Survey 2016-17 suggests the proportion of men in the workforce is relatively high at 68.6 per cent, in comparison to only 31.4 per cent of women. To put this in perspective, 63.5 million men are in the workforce, while the number of women is around 29 million. The causes of low female economic participation are numerous as they are multifarious. For seamstress and single mother Mansab*, working from home is essential to looking after her sick child while still earning an income. “At my village, I used to do a lot of agricultural work on the field like digging, planting, but no one praises it — in fact most of the work is done by women [on the field],” she says. The 30-year-old pulls her black veil tighter around her face and discusses her passion for work. Now living in Karachi with her brother, Mansab did not know any skills to start her own business before joining a vocational training programme at a non-governmental organisation (NGO) called Al-Zohra Welfare Association. Since her brother does not allow her to work outside their home, Mansab had to make ends meet by finding a way to earn a living while staying inside. 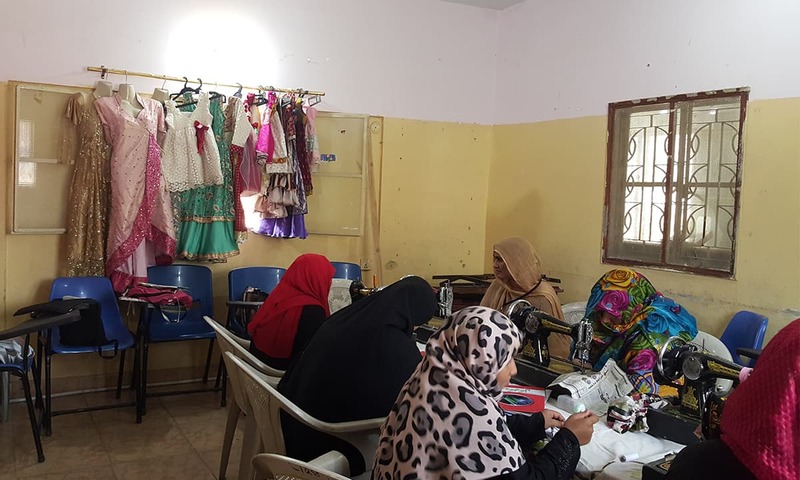 While training at Al-Zohra, she paid 50 rupees per month to learn how to sew after a machine was donated to her. “I’m very thankful because at first I knew nothing about sewing, and now I earn 3,000 to 4,000 rupees per month,” she says. Al-Zohra President Nighat Zahra Shah believes the real issue of low female participation in the workforce is the lack of flexibility and transport issues. Working with Al-Zohra for 23 years, Zahra has dedicated most of her working life to help educate women from poor backgrounds. “There’s not much opportunity out there for them. There are just certain 9-5 jobs, and not enough flexibility to work from home like other countries have,” she says. International Women’s Day was marked on March 8 this year, with the annual Aurat March taking place to show female strength and resist forces of patriarchy. The event invited women from all socio-economic classes and ethnic backgrounds to join the march. One of the demands identified was the working rights of women, as hundreds of women from different professions and backgrounds packed the venue waving the small orange and yellow flags of the Aurat March under the blazing sun. French writer and feminist Aurelie Salvaire makes her position clear on marches. “I’m not sure about protests and marches in Pakistan to be perfectly honest, but [we can] start the work,” she says. Her claim rings true, with the International Labour Organization (ILO) estimating 80 per cent of female business graduates in Pakistan stay at home. Furthermore, 65 per cent of doctors do not work after marriage and less than 10 per cent of educated and uneducated women are entrepreneurs. Aurelie gives an example by comparing Pakistan to other Islamic nations such as Saudi Arabia, where employment agencies such as Glowork have become hugely successful by corresponding with offices to employ females. Organisations like Glowork have been at the heart of a soft yet profound shift in the Arab world’s largest economy, encouraging the recognition of the vital contribution that women can make to the workforce. In 2017, a study provided by the Saudi Ministry of Labour and Social Development revealed a major spike of women taking on jobs in the past four years, indicating there were roughly 130 per cent more women working in the Kingdom. 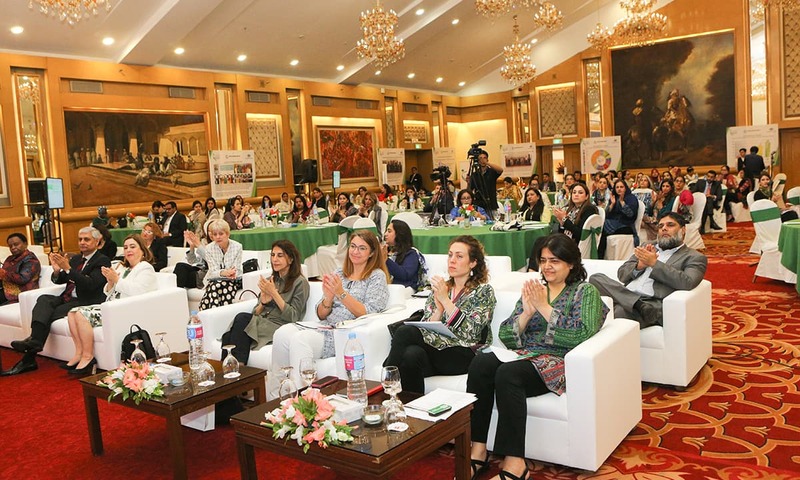 Moreover, at the ‘Closing the Gender Gap – A Tool for Economic and Trade Development in Pakistan’ conference in Karachi this past March, various leaders, ministers and economists gathered to discuss tools that can be used to empower women in the workforce and bring them into the market. 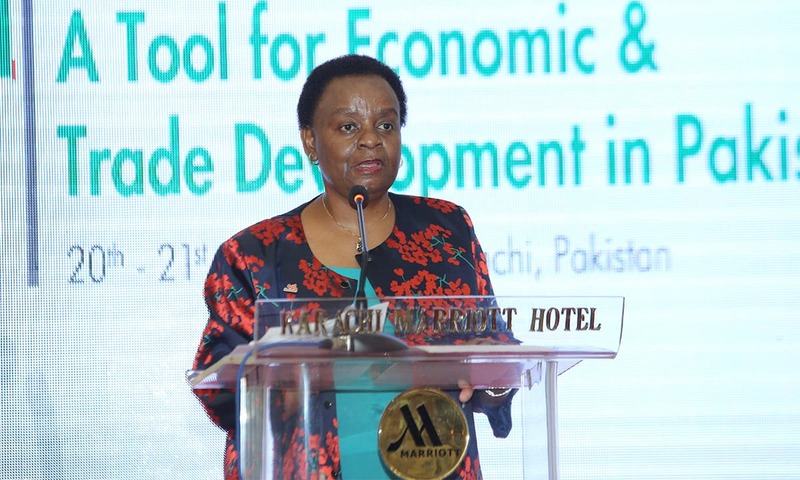 Deputy Executive Director of the International Trade Centre in Geneva, Dorothy Tembo, provided an example of the SheTrades initiative, which provides women entrepreneurs around the world an online platform to connect to markets through an app. The aim is to connect one million female entrepreneurs to the market by 2020. By exploiting its demographic dividend of educated and English-speaking youth and reaching upper-middle-income status, trade – especially in terms of small and medium-sized enterprises (SMEs) for women – could help Pakistan advance its aspirations of becoming the next ‘Asian Tiger’ economy by 2025. However, conservative mind frames may be a huge barrier to women in the workforce. Niha recounts recently interviewing a potential male chef who refused to work under a woman. “I work in a male-dominated industry where I feel 98 per cent are men,” she says. Niha gives great credit to the women who she says are not provided with the means she has been “blessed with” — the Pakistani women from lower socio-economic classes who “work long hours and support the family, often with little pay, then come home and look after their kids.” In spite of having a low labour force participation rate in the formal economy, a considerable amount of women participate in economic activities. Yet, their contribution is largely undermined, and in some cases unrecognised, due to sociocultural and economic factors. The majority of working women in Pakistan are concentrated in the informal sectors of the labour market, where they are often paid less than the minimum wages recommended by the government. Working conditions are also often precarious, with no medical benefits, no job security, job discrimination and little support from male-orientated labour unions. 36-year-old Rubina*, who has been working as a domestic helper since she was 20, hopes that Pakistani women in the future are “well-educated and in the work force”. Rubina is Christian, which places her in one of Pakistan’s most marginalised minorities. A survey conducted by the National Commission of Justice and Peace, formed in 1985 at the Pakistan Catholic Bishop’s Conference, found that 43 per cent of women belonging to minorities suffer religious discrimination in the workplace, which for them is often a menial job with low income, such as domestic work. As Rubina sweeps the floor her bracelets jingle softly with every move. She pauses for a moment to answer the question of whether she would prefer to stay at home while her husband solely provides for her family. “I prefer to stay at work because I like to work,” she says simply. The recognition of women’s work – mostly overlooked in areas such as the agricultural sector – is also a critical step to women’s empowerment in the workforce, while also inserting much-needed revenue into Pakistan’s economy, according to researcher and economist Haris Gazdar. In a paper authored by Gazdar, tasks such as cotton-picking, grain-harvesting, cattle care and weeding largely rely on women’s work, yet go “unappreciated”. Women often don’t see the benefits of public investments and subsidies that are instead directed at male-dominated large farms, mill-owners and corporations. While appreciating Niha’s perseverance as a woman in the Pakistani workforce might still be too much to ask, her main hope is that her “honest project” of innovating in the baking industry will be recognised. Not only that, she wishes to bring her part of change to Pakistan by implementing ground-breaking initiatives at her cafe Marcel’s, such as a zero-waste policy — where “leftover food will be distributed to those who need it most”.